Donald Trump and Betsy DeVos have claimed that charters and vouchers are better options for students than public schools. The research tell us that she is wrong. 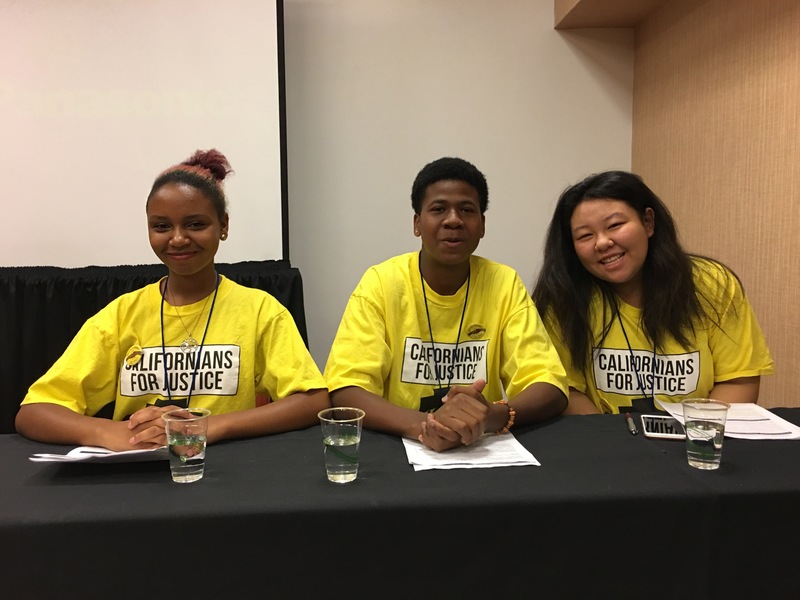 The youth from the Californians for Justice non-profit also presented at the NPE conference on the organizing work they that are involved in. I hope I can get them to Sacramento State soon to help us created a city-wide student council. 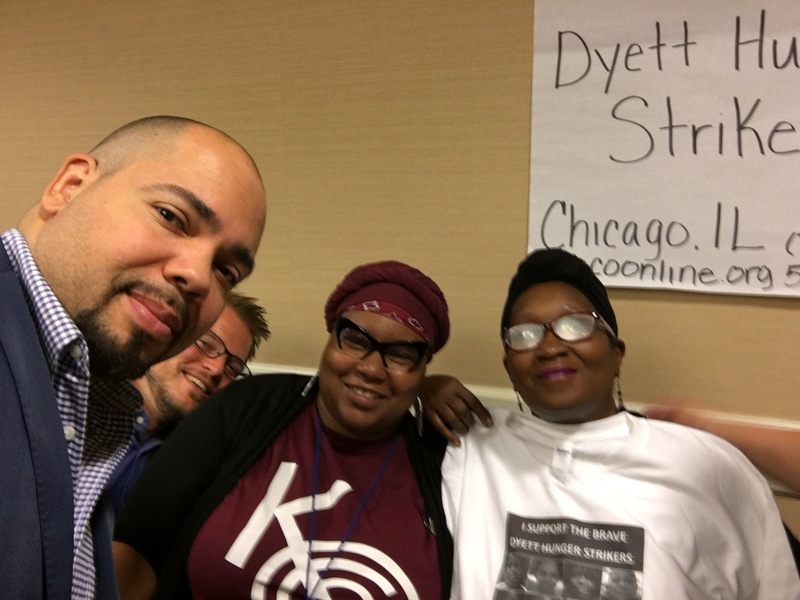 At the Journey 4 Justice session I was floored to take a selfie with the Chicago Dyett High School hunger strikers. 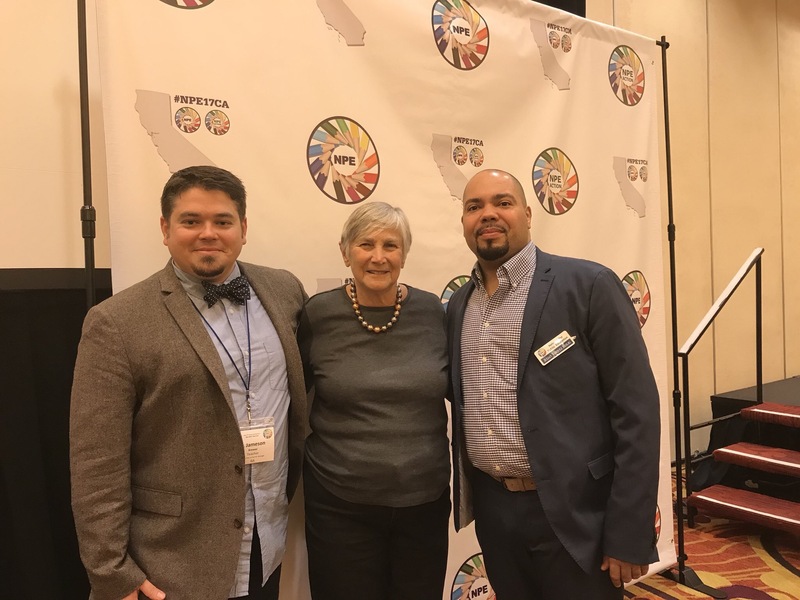 The NPE conference also featured an incredible presentation by Dr. Dale Allender and Dr, Nolan Cabrera about the ethnic studies movements in California and Arizona. 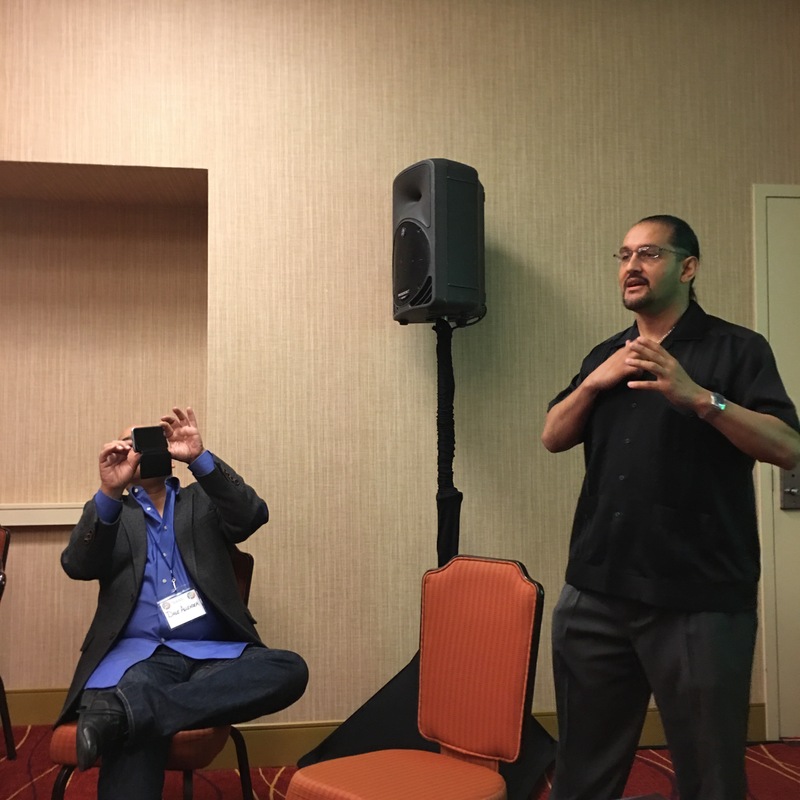 Also check out the LIVE broadcast of the Teach For America podcast at the NPE conference. I also was floored by the Nikole Hannah-Jones keynote. She is a recent receipt of the 2017 MacArthur Foundation genius award. Here a few of my tweets from the keynote. 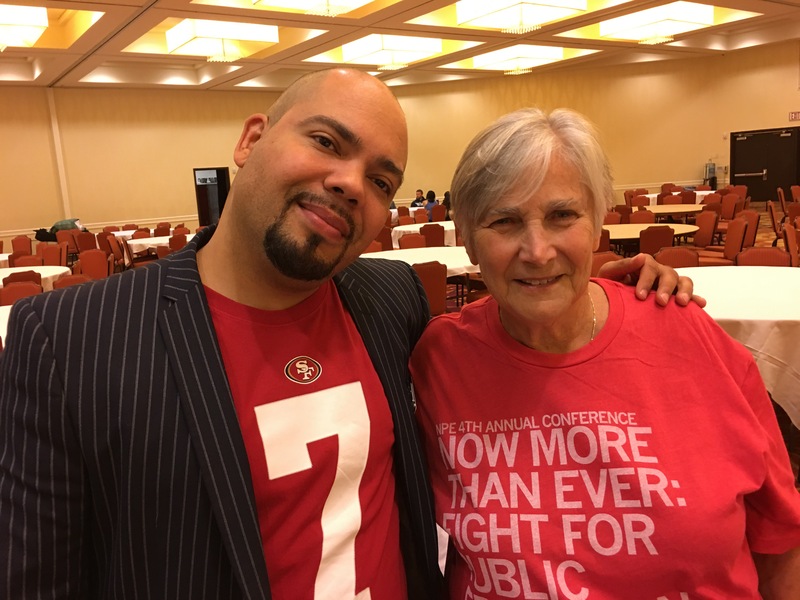 "You can't build schools on inequality, tests, and segregation." Via @nhannahjones @Network4pubEd #npe17ca Advice for charters and trad pub. These are just a few highlights from the 2017 NPE conference. See you next year!